Warmer weather is all around us, and the time for boating and outdoor fun is in full bloom. Two-way radios for boating are useful and great tools that can ensure you’re having a safe and fun time on the water with friends. Whether you’re an avid fisherman or boat enthusiast, two-way radios for boating will keep you in touch with everyone in your party. Shouting back and forth over the roaring sound of a stream or river isn’t practical, but with two-way radios, you can easily communicate with your party for a fun time on the water. 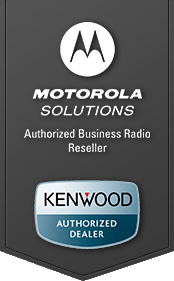 Motorola offers a large selection of two-way radios for boating that are affordable and designed to last. The Motorola RDV2020 is a great choice if you’re looking for two-way radios for boating. With the capabilities to transmit across 220,000 square feet, the RDV2020 ensures you’ll be heard loud and clear. Boating is a fun and adventurous sport, but with anything there are risks when you’re out on the water. Two-way radios for boating help ensure you’ll be able to call for help if an emergency arises. Relying on cell phones isn’t dependable, especially in dead zones, but you can rely on two-way radios to keep you in contact with your entire party. 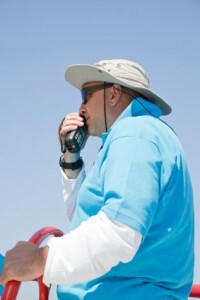 This summer when you’re enjoying a day on the water, don’t forget your two-way radio! Two-way radios are a great tool for school campuses that promote safety! With the amount of tragedies that have occurred in the past few years on school campuses, the need for a strong school security plan is dire, and having an open and dependable way to communicate is a great way to increase safety and awareness on and around school campuses. School campus two-way radios not only help maintain safety, but also improve coordination between various teachers and faculty that can be very beneficial to a thriving knowledge setting. If you’re school doesn’t utilize school campus two-way radios, the following statistics might open your eyes and re-consider! Two-way radios can be used to contact campus security in the event of an emergency. Campus security can be notified from emergency officials if a threat is currently presented outside or near the campus. Two-way radios are a great way to help organize school events, while also making show everything goes smoothly. 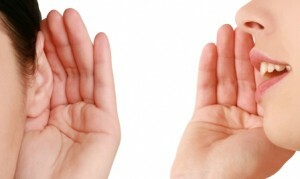 Communication between faculty and staff can be done with a simple click of a button. If an emergency is presented, faculty can notify staff without causing wide spread panic by making over-the-air announcements. School campus two-way radios allow for custodial to be alerted in the event of a spill, which can cause slips and falls. The benefits of school campus two-way radios are endless, but the need for a dependable communication tool amongst the nation’s school campuses is extremely necessary. If your school or the schools your children attend don’t have a proper communication system, consider suggesting school campus two-way radios. Most consumer walkie talkies don’t require a payment plan to use. 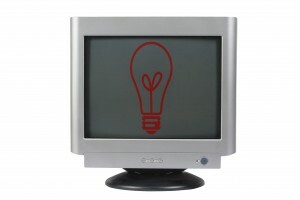 Using a mobile app means that you must have a contract on the cell phone and an expensive data plan. Walkie talkies are extremely useful for safety. An app works depending on data coverage, and being in an area with poor reception can make your app useless. It’s not recommended to use a walkie talkie app for emergency prevention, especially in wooded areas, as cell phone reception is typically compromised. The clarity of a walkie talkie app is far less superior than an actual walkie talkie. The battery life of a physical walkie talkie is often very long. Anyone with a smart phone knows that the battery drains at an extremely fast rate. Some walkie talkies are capable of having their batteries changed out in the field, but most smart phones require a charge using electricity. This can be troublesome if you find yourself in a dangerous situation and need to communicate quickly. The reasons why a physical walkie talkie is more superior to a mobile app are endless. Mobile apps are fun, but should never be a lifeline in any type of dangerous situation or emergency. If you’re depending on communication in the event of an emergency, its best to ditch the app and opt for quality security two-way radios. From large to small, there is a two-way radio that will suit your needs. Two-way radios are handheld devices or transceivers that have been used since World War II. It’s extremely common to see law enforcement officials and law enforcement vehicles supplied with two-way radios. The reasons is simple, two-way radios are a reliable form of communication in close proximity. The speed in communication is what makes two-way radios so great for security purposes. A cell phone has to dial out, which can take up too much time, but with a simple press of a button, you’re instantly connected and able to get your message across with a two-way radio. From two-way radios for dental offices to military two-way radios, these communication devices can help ensure safety during a horrible crisis. The Phonetic Alphabet and You! The phonetic alphabet is used by radio operators, to spell out words. The phonetic alphabet is extremely useful for exchanging important information when 2 way radio transmission isn’t clear. The phonetic alphabet has changed over the years but using this interesting way of communicating is still very useful in ensuring your information is heard. phonetic alphabet is extremely useful for police officers and soldiers who depend on valuable information heard from 2 way radios. The NATO phonetic alphabet is the most widely used spelling alphabet. 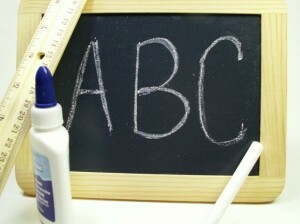 The NATO alphabet assigns code words to the letters of the English alphabet. Learning the phonetic alphabet will help you become a better communicator when using 2 way radios. Memorizing this list is simple, and knowing phonetic alphabet will ensure your message is always heard! Halloween is on the way, and it’s a time for everyone to get spooky and have some fun! With kids running around in various costumes and other ghoulish gear, it’s important to keep them safe. Two-way radios used strategically throughout the neighborhood can help ensure that everyone stays in contact. This way, you can trick or treat with peace of mind! Small children should trick or treat in groups of two or more families—always with at least two adults. If you’re going around the neighborhood in several groups, it’s a good idea for a member of each group to have a two-way radio on hand. This helps keep everyone in the loop. The same can be said for groups of older children. They should be required to go in groups of five or more kids. Equip them with two-way radios so that you know what path they’re taking, and when they can be expected back. Carry an emergency whistle or pepper spray in case of a serious emergency. Bring along a flashlight so that you can see where you’re going if things get a little too dark. Keep an eye on the weather, too. Check in with the rest of your group via two-way radio if the weather turns bad. You can always bring everyone back to the house and have a last-minute Halloween party. Two-way radios can help you stay safe and sound this Halloween. Keeping our children safe is one of the most important things we can do. Our kids spend so much time in school, and that’s what we’d like to talk about today. The safety and security of kids in school should be of the utmost important for these institutions. Communication and coordination between the staff and teachers is imperative. Communication can be handled smoothly and effectively when you use two-way radios within the school building. Imagine keeping kids safe by having the ability to send and receive messages with ease from classroom to classroom—and even across the campus. Two-way radios can be used in schools to contact the teaching staff or security staff at any time they are on the campus. If an emergency situation arises, you can easily call for technical assistance. If a child is hurt, the school nurse can easily be called using two-way radio communication. Security personnel can easily be alerted to any unknown people on the premises. This can protect children from predators. When two-way radio communication is in place on your school campus, you can rest assured that steps can easily be taken to keep children safe. School administrator? 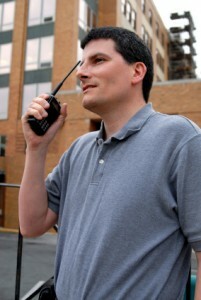 Get in touch with Tech Wholesale to talk about creating a two-way radio plan for your school. Parent? Give your school a call and let them know about a great safety plan you think should be implemented. We got a comment on our Facebook page the other day that really got us thinking. The post was simple enough… One of our fans was asking what sort of two-way radios she and her husband should get in case of an emergency. She also mentioned the term “Doomsday Preppers.” While preparing for “Doomsday” might seem like something out of the Cold War, it’s never a bad idea to have an emergency plan in place. That emergency plan should include two-way radios (we suggested the Motorola rdu4100) and other survival essentials. Let’s take a closer look at some Doomsday Prep ideas. If you end up having to stay put for a long period of time, you should have the survival basics on hand: Fire, light, water, food, and some sort of defensive tool. It’s a good idea to have a few weeks’ worth of water. The best way to store your water is in glass cooler jugs. They won’t degrade over time, and they’ll keep the water from getting contaminated. A good food supply is also crucial. Instant rice, canned beans, and some spices are your best bet. They don’t take a lot of energy to cook, and beans provide you with protein. If possible, keep some vitamins on hand—as well as protein powder, instant milk, noodles, and some canned fruits and veggies. A good First Aid kit will ensure that you can handle any minor injuries. And, of course, the right two-way radios can help you stay in contact with your loved ones in the event of some sort of catastrophic emergency. Two way radios have been used for communication during disasters since at least the time of the Second World War. In a wartime setting, for instance, two way radios were the only means of live communication for the troops back to their superiors or headquarters. In the time since then, two way radios have grown in popularity with the general population because they make communication possible in areas where it otherwise might not be. In an emergency situation, walkie talkes can be extremely helpful in areas that are without phone lines or electricity. 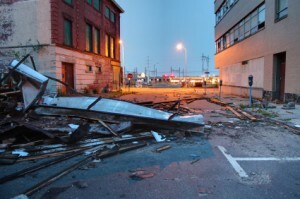 How can Two Way Radios Help in a Disaster? Whether you have a business or some other kind of organization, strategically placed emergency kits are extremely important in the event of a disaster. These emergency kits should contain two way radios in easy-to-access locations. Be sure your entire staff knows how to use the radios. Two way radios allow you to send messages to one another without the use of a cell tower. That fact alone makes them more reliable than cell phones in remote areas where it’s virtually impossible to get a signal. Schools, commercial businesses, and public facilities should have a set of two way radios with extra batteries available for communication during a disaster. In the event of an emergency situation, reach for your two way radio and try to reach someone on the other end. Make sure that the communication line is open between the radio devices before you split up. When it comes to emergency situations, open lines of communication are vital. You can find the right two way radios for your organization here at Tech Wholesale. It’s almost Halloween and if you want to have a safe and happy holiday, be sure to equip your family with a set of Motorola walkie talkies. Not only will they help you stick together as you hit the neighborhood with your trick or treat bags, but they’ll also keep you alerted of severe weather, emergencies, or other incidents. Plus with a built in flashlight and emergency alert button, you can feel much safer as you celebrate Halloween with your little ones. Make sure that you stay alert, no matter where you are. Anything can happen at any time. Never go alone while trick or treating. Kids should always be accompanied by an adult. Plus, going in groups can be a whole lot of fun! Always follow crosswalks and traffic signals. Incorporate reflective or glow-in-the-dark elements in your costume, or always carry a flashlight to ensure that you’re seen. Be cautious when outfitting your children with costumes. Choose costumes that are easy to move in, comfortable, and safe. 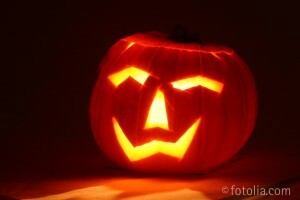 And finally, have a safe and Happy Halloween from TechWholesale.com!